BALTIMORE (AP) — Maryland’s Department of Health is issuing a warning after confirming a case of measles. 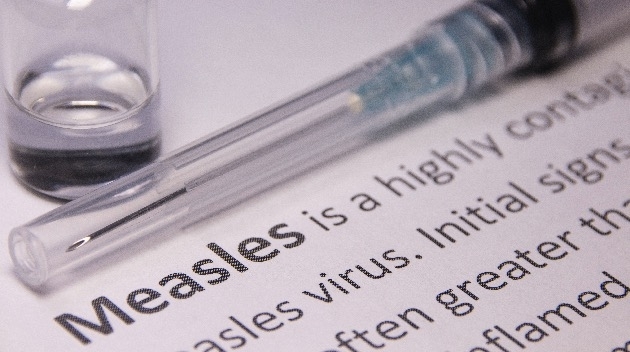 A department news release issued Friday says anyone who visited 4000 Old Court Road in Pikesville in Baltimore County last Tuesday between 9 a.m. and 1 p.m. may have been exposed to measles. Officials also say individuals who may have been exposed at additional locations are being directly notified. The health department says people who were at the Pikeville address, especially those who aren’t vaccinated, should monitor themselves for any early symptoms of measles, including fever. People who develop symptoms of measles should contact their health care provider, but should not go to child care, school, work or out in public, as they might have early symptoms of measles and might be contagious. Symptoms develop typically 10 to 14 days after exposure to the virus but can develop as soon as seven days and as long as 21 days after exposure. Early symptoms include a fever of more than 101 degrees, runny nose, cough and red, watery eyes. One to four days after the early symptoms, a red rash appears on the face and and spreads to the rest of the body. A person is contagious beginning four days before the rash appears until four days after the rash begins. For more information about the measles, visit the Centers for Disease Control and Prevention’s website. Below is the area where people may have been exposed.